A.J. Allmendingers NASCAR racing career isn’t over, after all. Kaulig Racing announced Thursday that it has added the former Monster Energy NASCAR Cup Series driver to its NASCAR Xfinity Series driver line-up. He is slated to drive the No. 10 Kaulig Racing Chevrolet for multiple races over the course of the remainder of the 2019 Xfinity Series season, but the race team hasn’t specified which races. Allmendinger raced in the Cup Series between 2006 and 2018, running full-time in the series nearly every season between 2009 and 2018, racing for teams including Team Penske, JTG-Daugherty Racing, the now-defunct Red Bull Racing, and others. But he lost his seat behind the wheel of the No. 47 JTG-Daugherty Racing Chevrolet at the end of the 2018 season. In 371-career Cup Series races, he claimed one win at Watkins Glen (N.Y.) International in 2014. His Cup Series stats also include 11 top-fives and 57 top-10 finishes. Allmendinger finished second in his lone Xfinity Series start last year at Watkins Glen, his only series start since 2013. 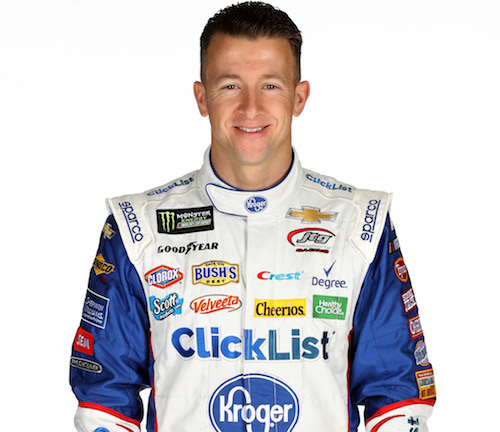 He has two-career wins in 11 races in the Xfinity Series, both coming in 2013 on the road courses of Mid-Ohio Sports Car Course in Lexington and Road America in Elkhart Lake, Wis.
Allmendinger’s 2019 plans also include TV work for both NASCAR and IMSA coverage on NBC.